The Ballstretcher Reno clings to your scrotum and pulls your balls nice downwards. 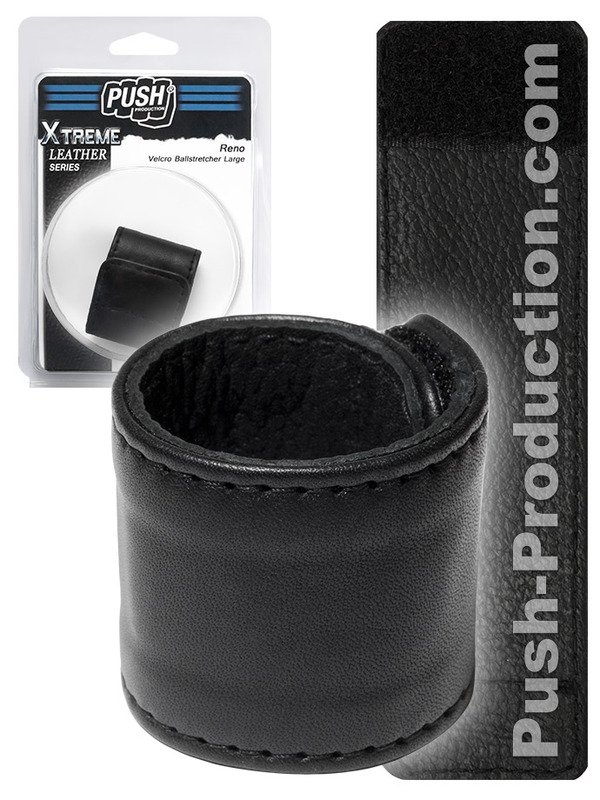 This ball ring is made of real leather and 3,6 cm wide. Thanks Velcro fastener the diameter can be adjusted from 28 to 35 mm.